Ultra Fast Charger is contributed base on thenewest and modernist mathematics algorithms, help speed charging upto 160%. In addition, the app gives numerous options to turn on/offwifi, sound, flashlight, Bluetooth, brightness, GPS, mobile dataconnection, airplane mode in order to save battery. Ultra Fast Charger is a lightweight Smart-Device Battery ChargingApplication. Ultra Fast Charger's fast charging mode lets your Smart-Devicebattery charged in less than 50% of time as compared with thenormal charge timings. Ultra Fast Charger is highly optimized therefore it uses very lessresources of device. Ultra Fast Charger guarantees that there is no malfunctioning.spying or spamming involved. User can Enable/ Disable many functions from the main screen ofFast Charging. 1. Launch the app and turn on the fast charge mode. 2. It will automatically boost your charging speed when you connectthe charger next time. 3. Ultra Fast Charger Up to 15-30% faster than other apps. If you have any problems while installing or using the app, pleasecontact our apps developer team at email: [email protected] will contact with you and solve the difficulties as soon aspossible. If you like the app, please help me rate 5 star. Thanks. Turn your Android phone into a super brightFlashlight!Flashlight is free, intuitive and easy to use torch app forAndroid. Our app uses the built-in camera LED flash and providesthe brightest light as possible. If your device doesn't have aflash, then you can use the white screen mode.Walk in the dark, visiting dark basement, no electricity at home orlooking for something under the bed - in these and other unexpectedsituations our Flashlight always helps you!FEATURES：☆Extremely bright flashlight!☆Super fast flashlight!☆SOS flashlight mode!☆Strobe light mode!☆Least battery consumption!☆More Lifelike Switch Button☆More Smooth Operation☆More Unified InterfaceOur Flashlight will accompany with you at any time when you needlight!So, don't hesitate and Download it Now!!! fast charger battery help to charging boost speed, fast charge andfast charging for android device.The only solution to this problemand boost charging speed is to turn off applications runningunderground and unnecessary connections on your phone to saveenergy, which will help to charge the battery faster thannormal.fast charger battery gives you an excellent solution tooptimize your device for fast charger automatically and boost yourcharging speed.KEY FEATURES: 🚀 OPTIMIZE WITH 1 CLICK✓ Automatic RAMcleanup - Turn off running applications underground✓ Automaticallyreduce screen brightness to lowest✓ Automatically Turn off Wifi✓Automatically turn off Bluetooth✓ Automatically turn off the screenrotation✓ Display charging status at the lock screen.✓ Quick chargeand fast charging 2018 for android🚀 AUTOMATIC SMART CHARGING MODE✓Automatic run when plug charging✓ Fast charging, speed up chargingand quick charger your device🚀 Battery Info – View Battery Status,Battery Log & Battery HistoryBased on authoritative papersalgorithm and accurate battery test, Fast Charger Battery discoverand display the key battery information for you to know yourbattery better, including live battery status, battery log of yourbattery history charge time. It also generates daily batteryreport, power-consumption info & power-saving info for you. Charge in minutes with super fast chargerTired of waiting for hoursfor your smartphone's battery to charge. Why waste electricity?Nowyou can charge faster than before with Faster Charger. This managesthe voltage levels on your phone enabling faster charge.FasterCharger Up to 15-30% faster than other apps.Also shows notificationwhen charging. Keep this app running when charging thephone.Supports devices ranging from Android Gingerbread toLollipop.When you click start , this app kills all the backgroundprocesses and communications like wifi , bluetooth, Mobile internetwhich consume battery hence your charging is boosted. FasterCharger - Fast Battery ChargerFastcharger provides half a charge inas little as 20 minutes.Notice: Please do not use while chargingbattery to up to 15-30% fasterHow to use Fast Battery Charger✔Launch the app and turn on the fast charge mode.✔ It willautomatically boost your charging speed when you connect thecharger next time.✔ You will also see a notification when youconnect the charger ‘Fast charging mode’.Features✔ Nice andUser-friendly UI.✔ Shows the battery capacity in the app.✔Automatically activates fast charging mode.With Faster Chargerbattery saver. Hey, now boost your charging speed with NEW Ultra Fast Charger,afree app in android market. You may bored and fed up by using falseand fake prank apps that are nothing but just waste of time and youalso may tired with long charging time. Don't take tension justdownload this awesome and useful battery charger tool to speed upcharging. Ultra Fast Charger is a real useful battery tool whichcharge your device in minutes. 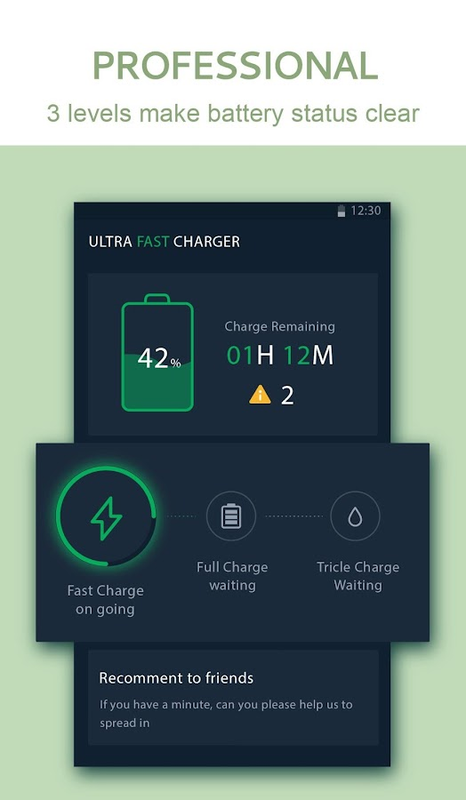 This is best and free useful toolfor all android user either they have mobile or tablet who want tocharge their device with ultra 3X speed.20-30% fast charger thanother applications.Ultra Fast Charger is super charger that removebackground heavy process and reduce battery consumption whilecharging.How Ultra Fast Charger Works:=======================1.Click the start button to charge fast and in less time.2. You canreduce brightness to zero.3. You can turn off bluetooth.4. You canturn off mobile data connection.5. You can turn off mobile GPSsettings.6. You can turn off wifi settings.7. You can refreshduring charging any time to kill all the back end processes.8. 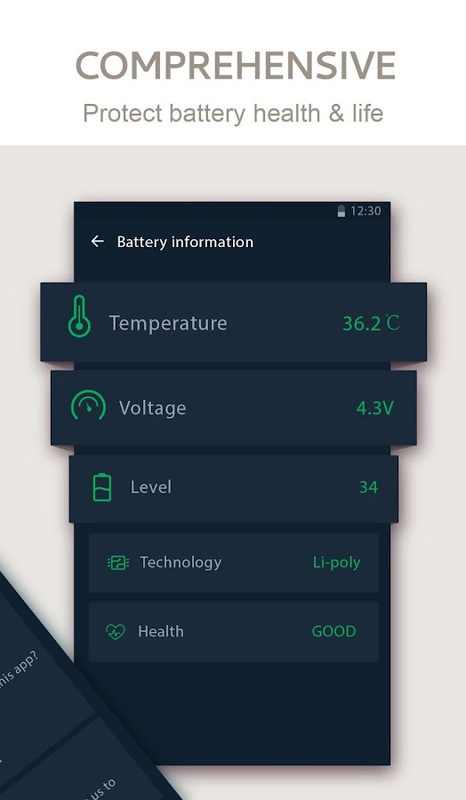 Tabto see the battery info while charging.Ultra Fast ChargerFeatures:=====================-Most awesome,attractive and UserFriendly Interface.-Automatically awaken when you plug in yourmobile charger. 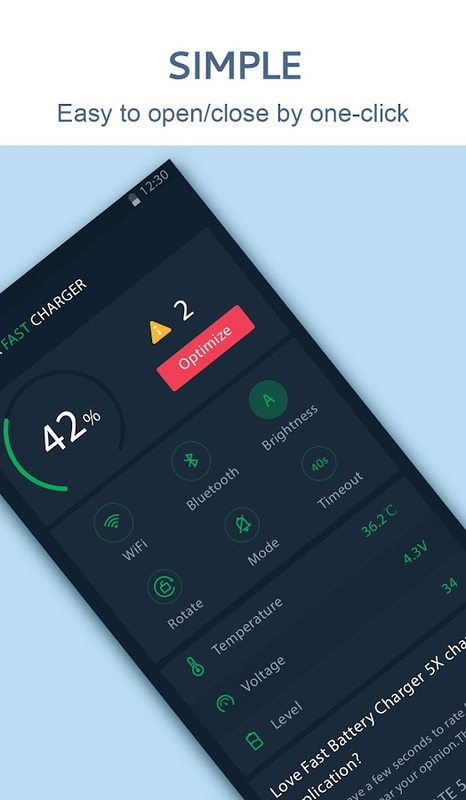 -Very Light Weight applicationNote: Just downloadUltra Fast Charger and active the charging mode by pressing startbutton.Turn off maximum settings so that this tool work moreeffectively.Please give us your feedback so that we further improvefor all common android users.Thanks. Manage or create your WordPress blog or website right from yourAndroid device: create and edit posts and pages, upload yourfavorite photos and videos, view stats and reply to comments. WithWordPress for Android, you have the power to publish in the palm ofyour hand. Draft a spontaneous haiku from the couch. Snap and posta photo on your lunch break. Respond to your latest comments, orcheck your stats to see what new countries today's readers arecoming from. WordPress for Android is an Open Source project, whichmeans you too can contribute to its development. Learn more athttps://apps.wordpress.com/contribute/. WordPress for Androidsupports WordPress.com and self-hosted WordPress.org sites runningWordPress 4.0 or higher. Need help with the app? Visit the forumsat https://android.forums.wordpress.org/forum/troubleshooting ortweet us @WPAndroid. Download the most easy to use screen recorder Mobizen now andcreate your first, amazing video! Mobizen is the most easy-to-use,convenient screen recorder that allows you to record, capture andedit. Everyone can use the 100% free features to make the bestvideos! How to Make the Perfect First Video? ㆍClear ScreenRecording in FULL HD! ※ Highest Quality supplied ▷ 1080pResolution, 12.0Mbps Quality, 60 FPS ㆍCapture your reactions freelywhile recording game sound and your voice with Facecam! ㆍYou canrecord long videos without worrying while saving onExternal Memory(SD Card)! ㆍ(Trim, Cut, Images, etc.) Raise the quality of yourvideo with a Variety of Video Editing Features! ㆍPut in yourfavorite BGM and an Intro & Outro Video to make a personalizedvideo! ㆍRecord a clean screen Without a Watermark with CleanRecording Mode! Available Only with Mobizen ㆍAnyone can use it withNo rooting starting from OS 4.4! ㆍUse Screen Recording, Capture,and Editing all for FREE! ㆍYou can Remove the Watermark for FREE!Have Any Question while Using Mobizen? You can keep up-to-date withMobizen Features, News, and the continually growing MobizenCommunity through the following sites! ㆍHelp Center:support.mobizen.com ㆍYouTube: youtube.com/mobizenapp ㆍCommunity:https://plus.google.com/communities/102731918517125954346 Help UsBetter the App Have you seen any weird words in Mobizen? ㆍLanguageVolunteer☞ https://goo.gl/forms/pHGNRoD7nvalOU5l1 ※ Note - Storerecorded file: screen recorded with Mobizen will be saved on theuser device only. - To experience all the features of MobizenScreen Recorder, you must agree to Storage, Camera, Mic, and Drawover Apps Permissions. Don't hesitate and download Mobizen now!